Do your kids resist when you try to put sunscreen on their faces? Mine do! A friend and plastic surgeon, Dr. Maida Parkins of Quintessa Aesthetic Centers in Delafield, recently told me about a product that eliminates this struggle as well as a few other great skin care tips that are making our summer much more relaxed with it comes to skin care. I’m excited to share her three summer skin protection tips with you today to make your life a bit easier! The first one is my favorite! Designed for women but safe for children and so much easier to apply than lotion, it’s a sunscreen in powder form that you brush on…BRILLIANT! No mess and my kids love it because there’s no more risk of getting it in their eyes. 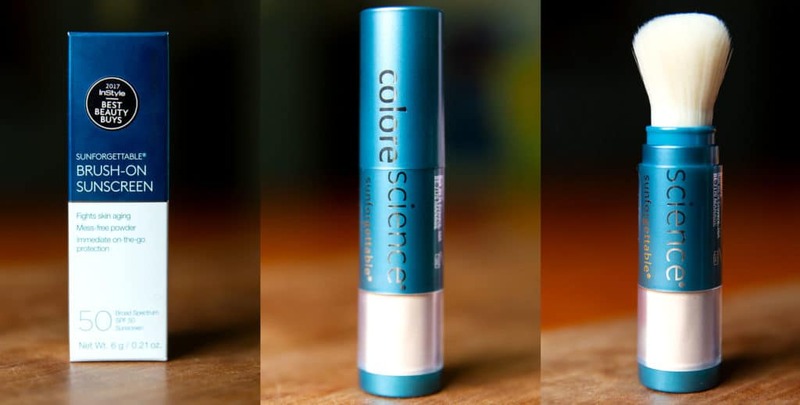 The product is made by Colorescience and is called Sunforgettable®. It comes in different shades similar to a powder foundation. We have the medium and it blends nicely with the fair skin tones in our family. Dr. Parkins warned me it wasn’t cheap but she also has four children in her family and informed that one tube lasts them the whole summer. They sell this locally at Quintessa Aesthetic Centers in Delafield. We gave this product a test run on our children a few weeks ago during scout camp when it was 1,000 degrees. Not a single sunburn and they were outside all day long! The second product Dr. Parkins recommends is for you moms. This tinted moisturizer called Intellishade® by Revision Skincare is proven to reduce fine lines and wrinkles as well as brighten and even out your skin tones. There’s some pretty incredible before and after pictures on their website. Check it out! 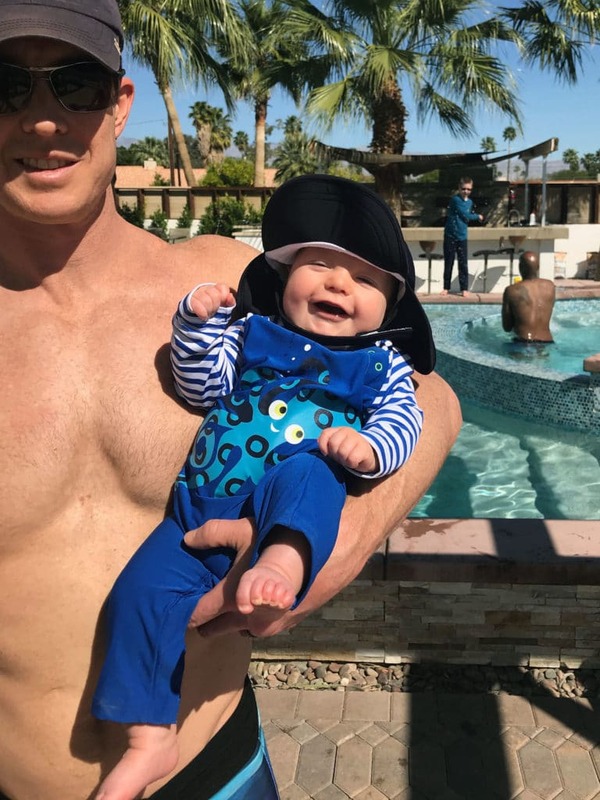 Finally, the third recommendation Dr. Parkins passed on was protective swim wear, specifically long sleeve rash guards and pants, hats and sunglasses. She recommends the brands Coolibar and Polarn O. Pyret as places where you can find swimwear with long pants, which are much harder to find than long sleeves. These brands have SPF built into the fabric giving your child extra protection while in the sun! She even forwarded this adorable picture she took of her youngest son while on vacation for a visual. There you have it! All the protection you need to help keep your skin healthy this summer with these three products. Enjoy the sunny weather this weekend! I had no idea they made powder sunscreen. Must. Have!!! Wow, I had no idea! We’re in AZ and always looking for anything that makes sunscreen easier! Powder is genius!